Mesoporous carbon materials (2-50 nm), with extremely high surface areas and ordered mesostructures, have been receiving much attention because of their versatility, as they are used in size- and shape-selective adsorption media, chromatographic separation systems, catalysts, nanoreactors, battery electrodes, capacitors, and biomedical devices. Via modification with foreign metal-free elements such as nitrogen, their unique electronic and spin structure can be changed. As a result, these doped mesoporous carbons have been successfully employed in some catalytic reactions recently, showing them to be promising catalysts for a wide range of reactions. Currently, doped mesoporous carbons with a disordered pore structure have been synthesized using various meth-ods, including catalytic activation using metal species, carbonization of polymer/polymer blends, carbonization of organic aerogels, and template synthesis using silica nanoparticles. Ordered doped mesoporous carbons with various pore structures have been synthesized using mesoporous silica materials such as MCM-48, HMS, SBA-15, MCF, and MSU-X as templates, or using soft-carbon sources. In the past decade, various doped mesoporous carbons have been developed by integrating metal-free elements into different carbon nanostructures including zero-dimensional carbon spheres, one-dimensional nanostructures (carbon nanotubes and carbon nanofibers), two-dimensional nanosheets (graphene and reduced graphene oxides) as well as three-dimensional porous carbon nano-architectures. 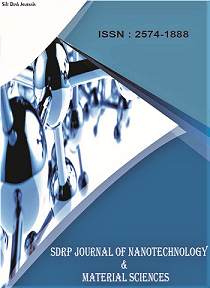 In this Research Topic, we are full of hope for future developments, such as more precisely controlled doping methods, atom-scale surface characterization technology, generating more active catalysts via doping, and finding wide applications in many different fields. Therefore, we welcome original research and review articles addressing our theme to build and stimulate an interest in the fabrication of novel N-doped mesoporous carbons and their continued development for sustainable catalysis. • New approaches to doped mesoporous carbons, including hard- and soft-templating methods, as well as template-free synthesis, for example, solid-state conversion of metal-organic frameworks. • Doping mesoporous carbons using metal-free elements, like N, P, S, B, etc. • Doped mesoporous carbons for electro-catalysis, like ORR, OER and HER, as well as for organic catalysis, like epoxidations, hydrogenations, etc.